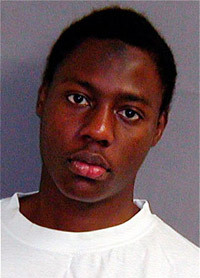 The near-success of Umar Farouk Abdulmutallab, 23, to set off an explosive on Christmas Day should open the American public's eyes to the sad state of counterterrorism eight years after 9/11. Umar Farouk Abdulmutallab, 23, is one of the most privileged young men of Nigeria. happened as the Airbus 330-300 carrying 289 people was approaching Detroit. Mr. Abdulmutallab went to the plane's restroom for about 20 minutes, and upon returning to his seat he stated that his stomach was upset, and he pulled a blanket over himself, according to the Justice Department complaint. As the flight was heading for a landing at Detroit Metropolitan Airport before noon, the complaint alleges, Mr. Abdulmutallab set off the device. Passengers heard popping noises similar to firecrackers, smelled an odor, and some observed Mr. Abdulmutallab's pants leg and the wall of the airplane on fire. Subsequent investigations learned that the plot was organized and launched by Al-Qaeda leaders in Yemen, who arranged for 80 grams of PETN (pentaerythritol) to be sewn in Abdulmutallab's underwear. Investigators concluded that only a chance malfunction prevented the explosives from bringing down the Northwest plane. Umar Farouk's father, Umaru Abdulmutallab, former chairman of the First Bank of Nigeria and one of his country's most prominent businessmen, recently went to the U.S. embassy in Abuja to warn about his son's "radicalization and associations," prompting American officialdom to place the son on a terror watch list of about 550,000 names, the Terrorist Screening Data Base. 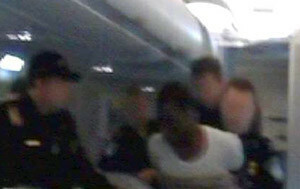 Abdulmutallab being taken off Northwest flight 253 on Dec. 25. But they did not place him on the list of about 15,000 individuals who must go through additional screening, much less the list of about 4,000 people on the "no-fly" list, who are not allowed to fly to or in the United States. Nor did they revoke Abdulmutallab's two-year, multi-entry tourist visa. Nor did an air marshal accompany his flight. Despite these multiple failures, Janet Napolitano, the Department of Homeland Security secretary, astonishingly claimed that the system "worked really very, very smoothly" in Detroit. This institutional myopia increases my worries about U.S. law enforcement. Of course, had the system worked, Abdulmutallab would never have entered the airplane, much less set off an explosive device. Looking ahead, the Transportation Security Administration has issued an emergency order requiring travelers headed for the United States to undergo a "thorough pat-down" at the boarding gate, with a focus on the upper legs and torso and a secondary inspection of carry-on baggage. During the final hour on all U.S. flights, passengers must remain seated, may not access carry-on baggage or keep personal items on their laps. More delights may follow, reports the New York Times: "Overseas passengers will be restricted to only one carry-on item aboard the plane. … On one flight, from Newark Airport, flight attendants kept cabin lights on for the entire trip instead of dimming them for takeoff and landing. … In effect, the restrictions mean that passengers on flights of 90 minutes or less would most likely not be able to leave their seats at all." As Phyllis Chesler plaintively asks, "Are we all going to be subjected to underwear checks before boarding our flights? If so, Al-Qaeda will soon secrete explosives in body cavities. Will we all be searched there as well?" In other words, because U.S. security agencies refuse to take the sensible precaution of concentrating their resources on the small target pool of suspects, namely Muslims, about 1 percent of the population, hundreds of millions of passengers must bear the burden of extra cost, inconvenience, and loss of privacy. 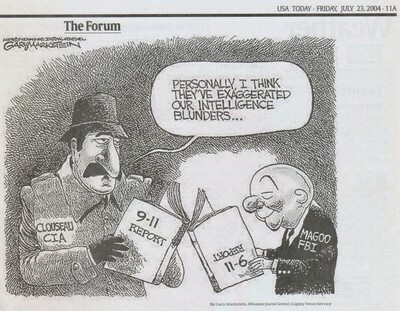 Had U.S. law enforcement devoted the attention to the 9/11 plotters that it has since given to counterterrorism, 9/11 would never have taken place. While Sudden Jihad Syndrome by isolated individuals remains beyond the abilities of American institutions to stop (viz., the Ft. Hood shooter last month), terrorists linked to Al-Qaeda are well under surveillance. Government authorities have terrorism under control, so we private analysts can focus instead on the non-violent forms of radical Islam known variously as "stealth jihad," "creeping Shari'a," "lawful Islamism," or "Islamism 2.0." The Northwest incident takes me back to 9/11 itself, when I wrote a bitter analysis how the U.S. government had "grievously failed in its topmost duty to protect American citizens from harm." That failure continues. What size disaster must occur to inspire a serious approach to counterterrorism? Mr. Pipes is director of the Middle East Forum, Taube distinguished visiting fellow at the Hoover Institution of Stanford University, and a columnist for the Jerusalem Post. Dec. 28, 2009 update: Janet Napolitano reversed her inane comment under withering criticism, saying on NBC's "Today" program this morning that "Our system did not work in this instance. No one is happy or satisfied with that." But her original statement still indicates an alarmingly self-satisfied mentality at the upper reaches of the Obama administration. Perform thorough pat-down of all passengers at boarding gate prior to boarding, concentrating on upper legs and torso. Physically inspect 100 percent of all passenger accessible property at the boarding gate prior to boarding, with focus on syringes being transported along with powders and/or liquids. Ensure the liquids, aerosols, and gels restrictions are strictly adhered to in accordance with SD 1544-06-02E. Passengers must remain in seats beginning 1 hour prior to arrival at destination. Passenger access to carry-on baggage is prohibited beginning 1 hour prior to arrival at destination. Disable aircraft-integrated passenger communications systems and services (phone, internet access services, live television programming, global positioning systems) prior to boarding and during all phases of flight. While over U.S. airspace, flight crew may not make any announcement to passengers concerning flight path or position over cities or landmarks. Passengers may not have any blankets, pillows, or personal belongings on the lap beginning 1 hour prior to arrival at destination. You are now free to move about the cabin. Or not. After a two-day security clampdown prompted by a thwarted attempt to bomb a jetliner, some airline officials told The Associated Press that the in-flight restrictions had been eased. And it was now up to captains on each flight to decide whether passengers can have blankets and other items on their laps or can move around during the final phase of flight. On one Air Canada flight from Toronto to New York's LaGuardia Airport, crew members told passengers before departure that they were not allowed to use any electronic devices - even iPods - and would not be able to access their personal belongings during the one-hour flight. … An hour before a US Air flight from Manchester, England, to Philadelphia landed, flight attendants removed passengers' blankets and told them to keep their "hands visible," said passenger Walt Swanson of Cumbria, England. Even bathroom visits were affected on some flights. On Continental Flight 1788 from Cancun, Mexico, to Newark, three airport security agents frisked everyone at the gate, including babies, prompting one to scream loudly in protest. On the plane, crew announced that the toilets would be shut down the last hour of the flight and passengers would not be able eat, drink, or use electronic devices. The warning that the bathrooms would be shut down led to lines 10 people deep at each lavatory. A demand by one attendant that no one could read anything either elicited gasps of disbelief and howls of laughter. In-cabin screens normally showing the plane's location and flight path were switched off on an Air France flight Saturday from San Francisco to Paris. Flight attendants said they were turned off as a security measure. Related Topics: Counter-terrorism, Terrorism | Daniel Pipes receive the latest by email: subscribe to the free mef mailing list This text may be reposted or forwarded so long as it is presented as an integral whole with complete and accurate information provided about its author, date, place of publication, and original URL.